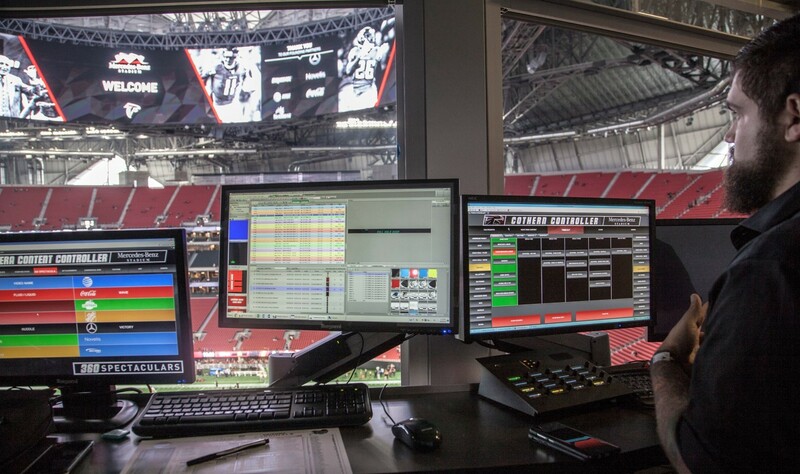 As the clock ticks down to one of the world’s most-watched sporting events on February 3rd in Atlanta, Ross technical and creative personnel, partnering with Van Wagner Sports & Entertainment (VWSE), have been hard at work preparing an electrifying game-day experience for the lucky fans attending the big game at the Mercedes-Benz Stadium. display pixel accurately. Tessera is also being used to feed content the 100’ Mega Column display at the North end of the stadium. In the control room, two Ross Acuity 6ME IP production switchers are being used to cut the live in-house pregame, in-game, half-time, and post-match shows. The Ross Unified Venue Solution also played a huge role at Opening Night, hosted at the State Farm Arena, where a similar control system was installed and launched in the fall of 2018.